Middlesex University welcomes this year’s international students to Hendon with an exciting array of events and fun-filled activities taking place this week. 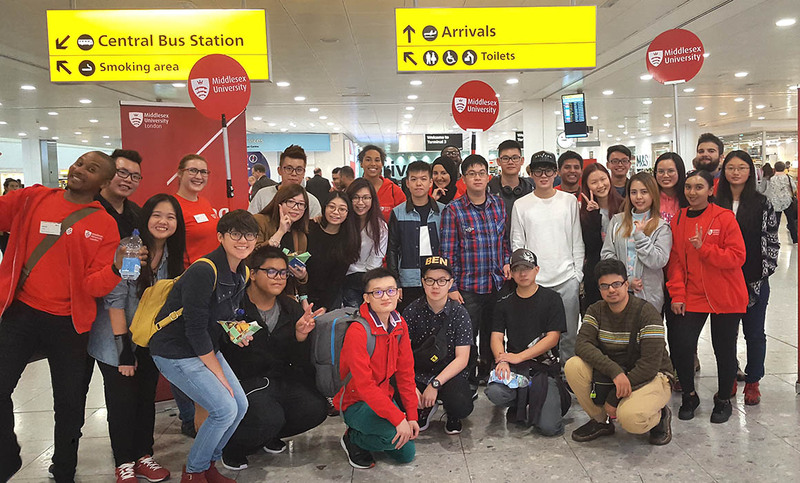 International students arriving at Heathrow will enjoy the red carpet experience with an exclusive pickup service in place to whisk new arrivals from the airport directly to campus to help them settle into their new home. During Welcome week students can try out new sports, take sightseeing tours of London, and enjoy a party cruise on the Thames. There will be a Great British Tea Party and even a Pokehunt which involves tracking down digital Pokemon in the local area. Of the 18,300 students who will study at the University’s Hendon campus this year, 13,543 are from the UK with the remaining students originating from all over the globe, including around 600 students from China and almost 500 from India. “Going to university is a life-changing experience and our aim is for all Middlesex students to succeed in their studies here before going out into the world to make a real difference,” says Professor Tim Blackman, Vice-Chancellor of Middlesex. Psychological sciences student Erin McBride is this year’s furthest travelling student, coming from Seaford in Victoria, Australia, 10,537 miles from Hendon. 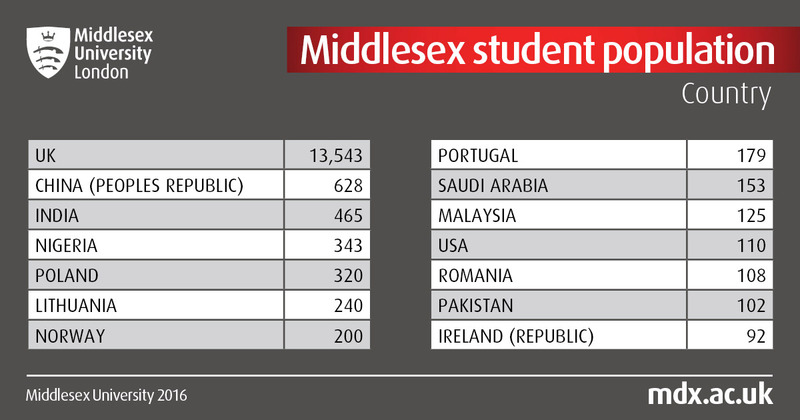 “I was lucky enough to be offered a place at Middlesex as an exchange student for two semesters. I'm really looking forward to making new friends from all over the world and getting to experience all of the different cultures international students bring to Middlesex,” says Erin. 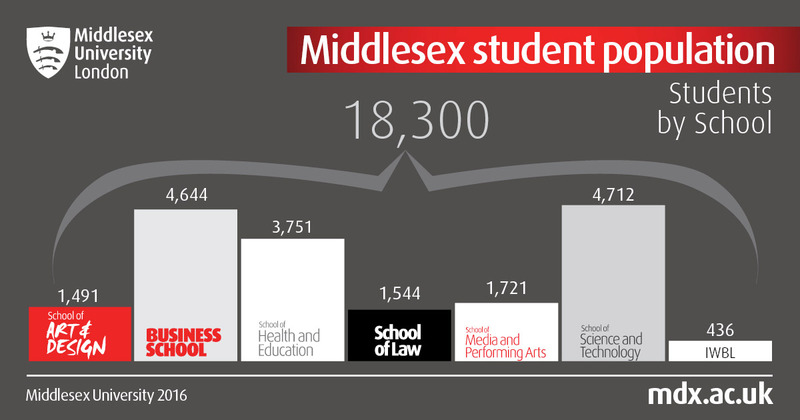 Find out more about coming to Middlesex at our next Open Day.